This Exin Cloud Computing course is designed for participants who want to pass the foundation certification by EXIN on Cloud Computing. EXIN Cloud Computing provides IT-related services through internet. It allows you to improve skills on handling cloud applications and services at your own convenience. Exin Cloud Computing course is designed for participants who are looking at successfully completing the foundation certification by EXIN on Cloud Computing. Why is this certification most sought-after? Currently, there are approximately more than 150 professionals across the globe who are certified in EXIN Cloud Computing. There is a dearth of certified professionals in this domain. A certification will make a participant well sought-after by top MNCs who are into cloud space. This training provides IT professionals with the know-how required in order to successfully implement Cloud Computing. Global cloud computing market is projected to reach $270 billion by 2020. A training in this domain means better job prospects. It is the next career step for experienced network, storage, or data center administrator. Government and corporate environments are moving to the cloud making it the most sought-after domain. Currently, there are 250,000 open IT jobs in the U.S and approximately 85% of people who hire give priority to IT certification. According to recent surveys by payscale.com, the median salary for certified professionals in this field is $83803 pa. The salary of a Cloud graduate is estimated to be approximately $56376 pa. Anyone playing a role or interested in the use and management of internet-based IT services, including staff at internal and external service providers, their customers, and their managers can opt for the Cloud Computing certification. With deep expertise in Blockchain, Bernard has been named by Wired.com as one of the ten most influential persons. 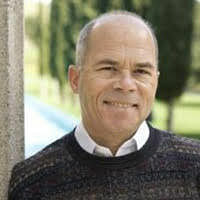 Bernard is CEO of Navica, a consulting firm focused on cloud computing and DevOps. He is the Vice President of Cloud Strategy at Capital One. Wonderful sessions! Course is comprehensively designed. The training really helped me to get an insight into the subject for enhancing my knowledge and career. It is quite a comprehensive course as it gives a lot of information about the cloud technologies which is prevailing in the present market. This course has helped me in understanding the same…Thank you Simplilearn for this wonderful course. The training is good. Enough time was utilized throughout the training to clear our doubts. Lecturer is well-versed on subject and covered topics with practical scenarios, which is a major plus. I will recommend the course to anyone who is new to cloud and wants basic understanding. 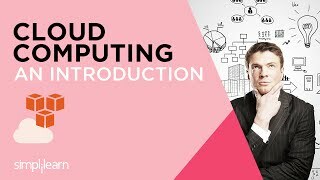 Excellent; this course gives a grasp of cloud computing foundation and is highly recommended for anyone who wants to gain the knowledge and/or take the exam. A helpful training in understanding the basic cloud essentials. This will help me to understand the base. The training is given as per the course content and it is very helpful in my project activities. I recommend this training to other people in my organization. This course was very helpful to understand the concepts and terms used in cloud computing. I came mainly for acquiring certification but the practical session was extremely good. It was an informative session and had enjoyed it. It will help me a lot to evaluate the cloud requirement in future. Trainer has provided good insight of the course. The training provided useful real-time examples for our understanding. I was able to connect with the faculty throughout the course without distraction. Detailed discussion with case studies and examples made the training more helpful. The trainer has in depth knowledge of cloud concepts. He was able to address the queries by the audience coming from different verticals. You will have access to the online e-learning and practice tests along with the training. Cloud Computing’ is all about providing IT-related services through the internet. What are the major categories of Cloud Computing? The major categories of Cloud Computing are: Infrastructure-as-a-Service (IaaS), Platform-as-a-Service (PaaS) and Software-as-a-Service (SaaS). Does Simplilearn’s Cloud Computing training include practical examples? What is the exam format of Cloud Computing exam conducted by Simplilearn? Do I get a certification after passing the Cloud Computing exam by Simplilearn? Yes, you get a Cloud Computing Certification from EXIN after passing the Cloud Computing exam. How do I enroll for the training? We provide Cloud Computing certification from EXIN after successfully clearing the exam. If your course has simulation exams you will need to complete it with the minimum passing score. You need to submit a project and get it approved by our panel of Subject Matter Experts. In case your project is rejected, our subject matter experts would provide all necessary help to clear the project in your next attempt.